The crusade against women who have opinions about video games continues unabated, reaching new heights of lunacy. Anita Sarkeesian, who runs Feminist Frequency’s Tropes vs Women in Video Games, was meant to be hosting a talk at the Utah State University, but has had to cancel the event due to violent threats made against her and those attending her talk. That threat was, according to Sarkeesian, just one of several threats made against her and other feminists at the university. While the university promised “enhanced security measures” like not allowing attendees to bring in big bags or backpacks, incredibly, they were not able to ban guns. Just to clarify: you wouldn’t be allowed to bring a backpack, but you could bring a gun with you. Unfortunately, this was out of the university’s hands, as Utah has open carry laws that allow people with permits to carry firearms. Apparently a threat to carry out a “massacre” was not enough to create an exception. Sarkeesian says that she has not cancelled the event just because of the threats, but because the security measures weren’t good enough. 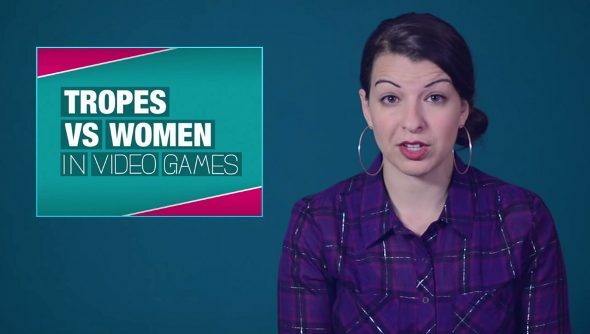 This horrible state of affairs hasn’t muted Sarkeesian, though, even if it has lead to the cancellation of the talk.